My Baby Sam Navy and Gray Chevron Crib Bedding Set | Quality Crib Bedding at Great Prices! Our gray and navy crib bedding will give your nursery a modern, clean look! Navy blue and gray colors add a fresh feel to your new baby boy's room. 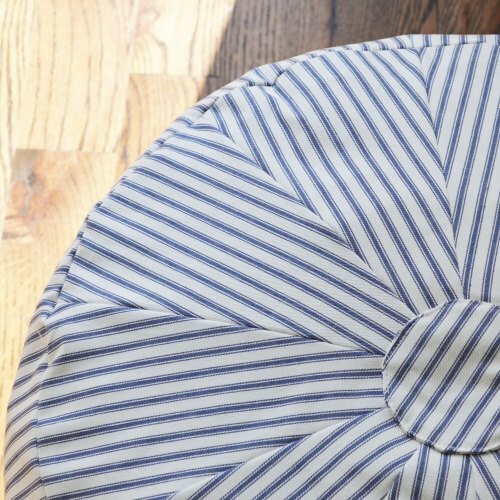 The striped gray and navy blue crib bumper is accented with solid gray cording and ties. 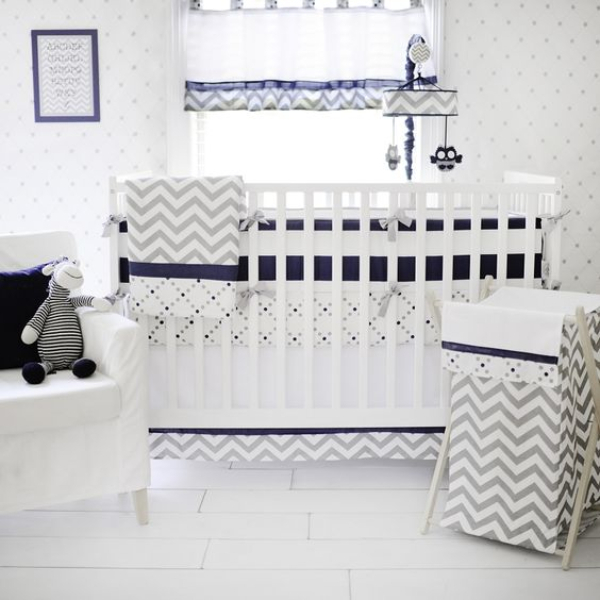 Gray and navy polka dot crib sheet adds a bit of whimsy to the collection, and white crib skirt is accented with navy and gray chevron bands. 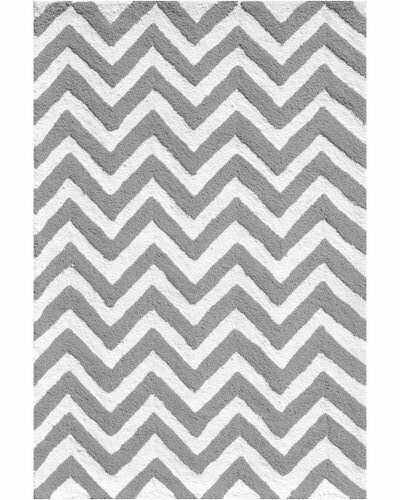 Gray Chevron crib blanket is soft and cuddly and perfect for snuggle time! 3 Piece Crib Bedding Set includes: Navy and Gray Dot Crib Sheet, White and Navy Crib Skirt and Navy and Gray Crib Blanket. 4 Piece Crib Bedding Set includes: 3 piece set plus Crib Bumper. • Tailored Crib Skirt drop length is 15". • Chevron Crib Blanket is 36" by 42". 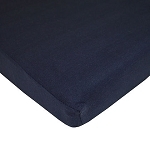 • Cotton Fitted Crib Sheet measures 27.5" x 51" x 8". • Stripe Crib Bumper includes 4 separate bumper pads. 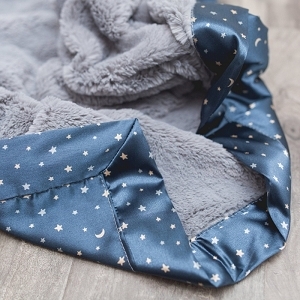 Coordinate your gray and navy baby bedding with accessories shown below including curtain valance, owl crib mobile, changing pad cover, nursery hamper and more.